The Disney adaptation of Tim Crothers’ book, The Queen of Katwe is due out next week and buzz is high on social media. Phiona has held countless interviews and reveled in the international spotlight on the eve of the film’s release. Yet, as is often the case with newfound international fame, some are not taking her rise to mainstream stardom too well. The Daily Caller recently published this hit piece in which phantom grandmasters are quoted and heavy attention is paid to tearing down any hint of success and triumph that makes her story worthy of such attention. Her actual performance in the chess world shows these to be puff pieces with very little attention paid to empirical fact. Mutesi has no doubt achieved something as a young Ugandan girl living in poverty, to capture the attention of the world, but that something she accomplished is not being good at chess. Given the deplorable conditions in which she was raised and the odds of becoming good at anything in her life, is it not fair to say that Phiona Mutesi overcome immense odds to become much better at chess than people who live in similar conditions? ELO is not always an indicator of chess greatness. A 1600 ELO player can inspire millions with her story and encourage others to sit down at a chess board far more than a 2000+ ELO player with no personality, no spirit, and no understanding of what really makes the game great. The Queen of Katwe will be released in most major theater markets on September 30, 2016. The Sinquefield Cup is always an amazing event and has come to solidify its place as one of the most prestigious chess tournaments in the world. Every year, the best chess players from around the world converge on the Chess Club and Scholastic Center of Saint Louis to compete in the round robin tournament. The Sinquefield Cup is also memorable for Fabiano Caruana’s incredible run in 2014, which I built a commemorative wall piece to celebrate the tournament. After some scheduling changes due to the upcoming Baku Olympian, this year’s event included Maxime Vachier-Lagrave, Veselin Topalov, Levon Aronian, Fabiano Caruana, Hikaru Nakamura, Anish Giri, Vishy Anand, Peter Svidler, and wildcard Ding Liren. World Champion Magnus Carlsen opted out of this year’s event so that he could focus on the upcoming World Chess Championship in New York. After some thrilling games between the world’s elite players it was Wesley So, the former Webster University prodigy, who took a commanding lead early in the tournament and cruised to a solid victory with 5.5/9 pts. The Sinquefield Cup is part of the second Grand Chess Tour, which aims to promote professional chess around the world. 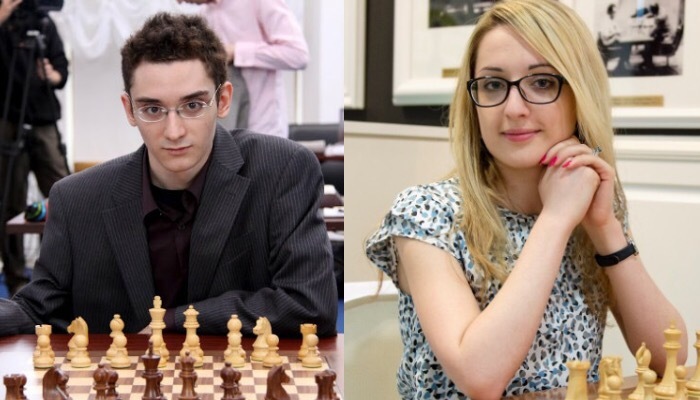 The Grandmasters featured in the Sinquefield Cup are regular participants in the tour. For details and photos from the Sinquefield Cup, check out the detailed analysis on Chessbase.